Presidio is Speck’s slimmest, most protective line of cases yet. 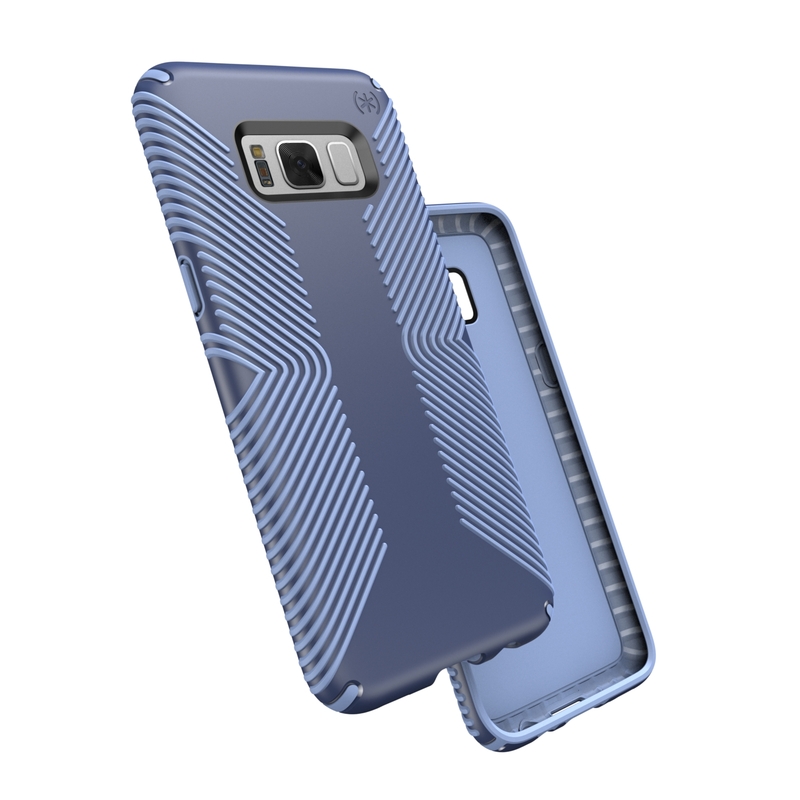 Each case provides superior slim protection with IMPACTIUM™, a new family of innovative, dynamic shock-absorbing materials, as well as new drop-test standards and designs — all while offering 20 percent less bulk than previous Speck cases. 3-metre and 2-metre Drop Tested. Cases offer 20 percent less bulk to the phone than previous Speck cases. Matte and glossy scratch-resistant finishes. 3-metre Drop Tested: The case has been tested to withstand and protect phones from 10-foot drops so you’re always covered. IMPACTIUM™ Shock Barrier: Brand new, innovative material absorbs and disperses shock when the phone is dropped. IMPACTIUM™ ridges line the inside perimeter of the case and compress on impact. No-slip grip: Newly designed raised rubber ridges offer a no-slip grip and ultimate comfort while texting, gaming and taking photos, no matter how you hold your phone. Improved scratch resistance: New matte finish offers a modern style. 2-metre Drop Tested: The case has been tested to withstand and protect phones from 8-foot drops so you’re always covered. IMPACTIUM™ CLEAR: Presidio CLEAR cases feature an innovative shock-absorbing material called IMPACTIUM™ CLEAR that absorbs and disperses shock when the phone is dropped. Resists UV yellowing: Presidio CLEAR’s custom-engineered material, IMPACTIUM™ CLEAR, resists turning yellow when exposed to UV light from the sun. Improved scratch resistance: Presidio CLEAR resists scratches and offers a modern, clear glossy style. IMPACTIUM™ CLEAR: Presidio CLEAR + GLITTER cases feature an innovative shock-absorbing material called IMPACTIUM™ CLEAR that absorbs and disperses shock when the phone is dropped. 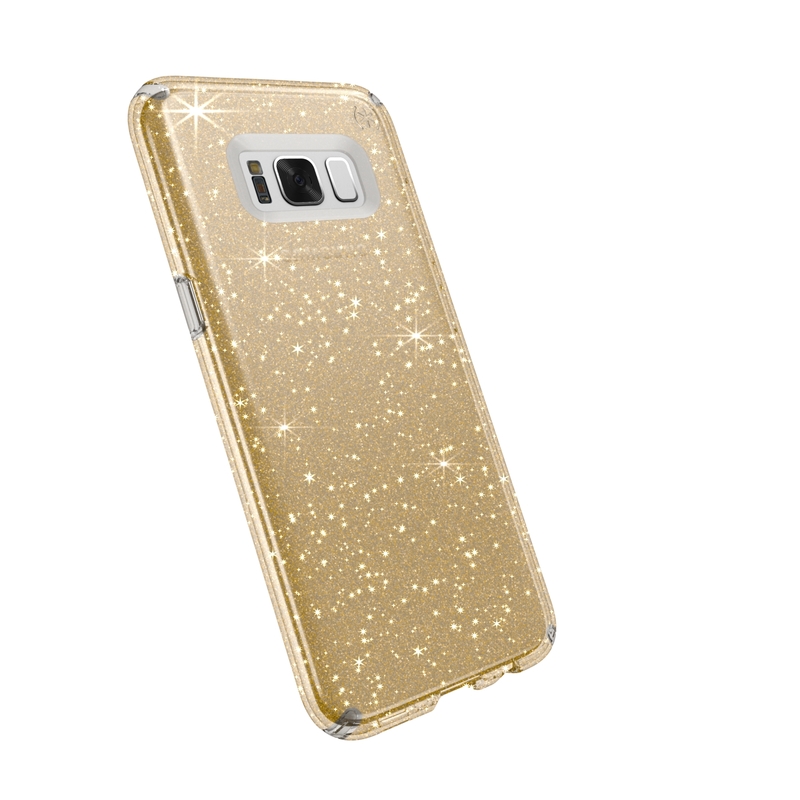 Embedded glitter crystals: Glitter crystals embedded in the outer shell of the case create a dazzling all-over shimmer that won’t wear off. Scratch resistant: Special clear coating on the exterior of the case resists scratches.